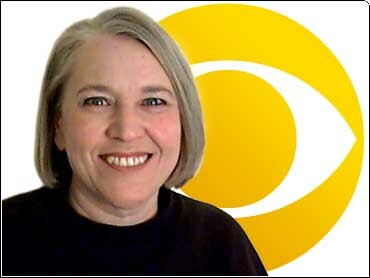 Kathy Frankovic, Director of Surveys for CBS News, is a recognized authority on elections and polling. She is a co-author of The Election of 1980 and The Election of 1992, and has published many articles on elections and public opinion. A 14-year old boy reports being told by a pollster for George W. Bush that GOP presidential rival John McCain is a "cheat" and a "liar." McCain accuses Bush of conducting "push polls" in South Carolina, and wins headlines and sympathy. And even politicians know that push polls are wrong. But what is a push poll anyway? Fundamentally, what people label a push poll isn't a poll at all. A push poll is political telemarketing masquerading as a poll. No one is really collecting information. No one will analyze the data. You can tell a push poll because it is very short, even too short. (It has to be very short to reach tens of thousands of potential voters, one by one). It will not include any demographic questions. The "interviewer" will sometimes ask to speak to a specific voter by name. And, of course, a push poll will contain negative information - sometimes truthful, sometimes not - about the opponent. CBS News has the real deal! Please check out our scientific polls on politics. Not all questions that seem negative are part of push polls. Candidate organizations sometimes do actual polls that contain negative information about the opposing candidate. These polls, which are not push polls, are conducted for the same reasons market and advertising researchers do their work: to see what kinds of themes and packages move the public. In the advertisers' case, they want to figure out the best way to reach buyers; candidate pollsters need to motivate voters. Polls done for campaign research are full-length, with more topics than just questions about the opponent, and include demographic questions that allow researchers to categorize respondents. Interviewers won't ask to speak to anyone by name, but are calling a sample of randomly selected telephone numbers. A lot of the push poll complaints that come to the attention of organizations like the National Council on Public Polls and the American Association for Public Opinion Research [national associations of survey researchers who try to uphold standards in their fields] are complaints about real candidate polls. The complaints are about the tone and the truthfulness of the questions that are asked. The polls they complain of are real, although sometimes the questions may include the sort of negative information that are common in push polls and other advocacy telemarketing. The researchers ask hypothetical questions about a person's vote should they learn particular things about an opposing candidate. For example, the Bush campaign in South Carolina asked the following "John McCain calls the campaign finance system corrupt, but as chairman of the Senate Commerce Committee, he raises money and travels on the private jets of corporations with legislative proposals before his committee. In view of this, are you much more likely to vote for him, somewhat more likely to vote for him, somewhat more likely to vote against him or much more likely to vote against him?" That question was part of what was about a 20-minute questionnaire. It came more than halfway through the questionnaire, and according to the campaign, only 300 interviews were conducted. While that sample size is low for a media poll, it is standard in many campaigns and nowhere near the number of calls a push poll would involve. No one - not even the well-financed Bush campaign - would try to reach tens of thousands of potential voters with a push poll lasting 20 minutes. There are ethical questions that can be raised about the candidate's poll, but they are questions that should be raised about every poll. Are the facts as stated correct? Are respondents being misled? Is the questionnaire itself harmful to the respondent? These subjects matter to professional researchers. A pollster was once censured by the American Association for Public Opinion Research because he got the facts wrong in his questionnaire. Push polls mislead the public, and not just about the opponent. They even mislead the public about what they are; callers claim they are conducting a poll when all they are doing is spreading negative information. But sometimes, charges of push polling are also misleading. Respondent - and pollster - beware.